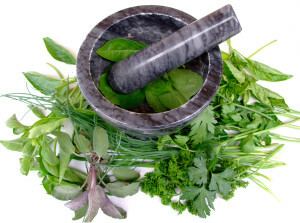 Naturopathic medicine is guided by the philosophy of the “healing power of nature”. Working with the understanding that given the right treatment and support, the body has its own healing energy to repair and recover from illness. The body knows what to do … it just sometimes needs to be given the right tools to do it !!! Naturopathy is suitable for everyone, from infants to the aged, whether the illness is chronic or acute. Naturopathy uses safe and effective natural therapies to support and stimulate the healing power of nature in a gentle but efficient manner. These therapies include herbal medicine, nutrition, dietary and lifestyle changes, as well as other modalities. What therapy is chosen depends upon the individual – no two treatments are the same because no two people are the same. Natural medicine treats the person, NOT the illness! Every patient is viewed and treated as a whole being – a complex interaction of physical, mental, emotional, spiritual, social and other factors. So it doesn’t matter if you are seeking treatment for just an acute cold, or perhaps a more serious chronic illness – anyone can benefit from naturopathic treatment. An essential role of any Naturopath is to give guidance and education about factors that may have led someone to ill health, and what they can do to help reverse this and make better choices. Understanding what is happening to you and being given the tools to regain health is very empowering. You deserve to live a happy, healthy and fulfilled life. If you are sick and tired of being sick and tired, book a consult today and take that first step towards getting back on the path to wellness – you deserve it ! !